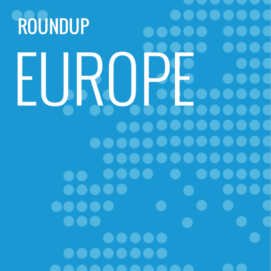 ExchangeWire rounds up some of the biggest stories in the European digital advertising space. In this week’s edition: Frequency Capping at Sizmek; Eyeota-YouGov partnership; Zvelo and S4M collaborate; 1XL promises more audience transparency; EnvisionX promotes blockchain tech; Glispa launches Avocarrot platform; VisualIQ integrates Lotame audience data; and Screen6 establishes London office. With advertisers tending to rely on multiple DSPs, ad servers and DMPs for their campaigns, badly targeted ads that expose individual users to the same ads again and again, wasted ad spend is often the result. In a bid to enable agencies and advertisers to achieve ideal ad exposure for each user across media plans, Sizmek is now launching cross-DSP frequency capping. Sizmek’s frequency capping solution aims to work as a central hub for pre- and post-bid data aggregation, allowing ad buyers using Sizmek to manage frequency capping across their entire media plan, based on creative engagement data found only at the server-level, including ad clicks, ad views and impressions. Eyeota is teaming up with YouGov. The aim of the partnership: the compiling of an extensive database that bundles consumer opinions and data on consumer behaviour from major markets such as the US, the UK, and Germany. Together, the audience data provider and the analytics specialist are aiming to make rich audience data available “to help marketers and advertisers understand customers and their behaviours on a deeper level, enabling them to deliver better online experiences”, Ted Marzilli, CEO YouGov Data Products, says. YouGov receives its opinion data from five million people worldwide taking part in panels. The data is collated in YouGov Profiles via surveys, passive tracking of panelists across mobile, tablet, laptop, and desktop, as well as ratings from YouGov.com, its online engagement platform for panelists. “These types of details give marketers and advertisers a window into how consumers behave and think, from brand preferences to general interests, to help them pinpoint exactly how they should be targeted”, explains Kevin Tan, CEO and co-founder, Eyeota. The new insights are available via Eyeota’s Data Marketplace and covers topics such as consumer lifestyles, general interests, brand use and perception, demographics, media, technology, finance and retail, etc. The data segments are available through various distribution platforms. Mobile-native ad tech company S4M is using zvelo’s new Invalid Traffic (IVT) dataset to combat ad fraud on their programmatic platform. The IVT dataset is a part of zvelo’s ad-fraud solution. Continuously updated IPs recognised as sources of nonhuman and bot traffic (NHT) are identified, thus allowing clients to perform pre-bid blocking of NHT-based impressions, in order to avoid accruing suspicious and fraudulent ad traffic. The IVT also provides additional filters to S4M, effectively identifying and eliminating ad traffic created by malicious bots and other nonhuman sources. The fully deployed IVT dataset also sorts nonhuman sources from its ad impressions and clicks and identifies publishers delivering high percentages of bot traffic. Publisher cooperative 1XL wants to provide more audience transparency and teams up with marketing research and technology company AudienceProject for a new initiative – 30 publisher-strong 1XL will receive access to AudienceProject’s core measurement and targeting tools in order makes sure their inventory reaches the right audiences. Additionally, the partnership with AudienceProject will provide 1XL’s agencies and ad buyers with insights into regional media audiences at scale. Thanks to exclusive access to AudienceProject’s data ecosystem and measurement insights, 1XL receive real-time validation of key audience metrics such as reach, uniques, demographic profiles, affinities etc, giving clients transparency into the ad-buying and displaying process. AudienceProject takes a collaborative approach to audience data, i.e. sociodemographic data is shared with all publishers who are part of the ecosystem. Ad tech provider EnvisionX is introducing a blockchain element in its ad tech offering: BitCasts is a platform solution based on blockchain technology. According to EnvisionX, BitCasts will address major worldwide buyer problems, such as currency by adding cryptocurrency capabilities with blockchain. Thus, buyers can buy media in local currency, yet avoid exchange-rate complications. The technology may counteract fraud, since publishers get precise insights into buyer transaction, enabling real transparency along the chain. Apart from BitCasts, EnvisionX is also enhancing their AdTrades and AdCasts solutions with blockchain technology. 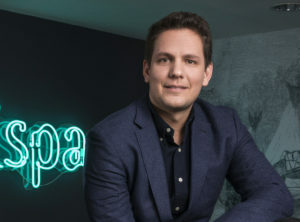 One year after acquiring Avocarrot, Glispa is finally unveiling their full-service monetisation platform, slated to serve all types of mobile in-app advertising, both programmatic and performance-based. Including added functionality from Ampiri, Glispa’s mediation platform as well as its audience platform GAP, the new platform aims to provide full transparency, control, and monetisation management. According to Glispa, the new solution allows app developers to manage their monetisation efforts by mediating between brand and performance sources – which makes choosing between CPM and CPI models unnecessary. The new SSP is set up to be connected with more than 50 DSPs for RTB brand demand, and has access to all leading ad networks for CPI campaigns. With the new platform, comes an enhanced user experience, Glispa promises, on the basis of individually tailored native ads for apps, while at the same time allowing advanced settings for high-level granular segmentation. A new strategic between marketing intelligence provider Visual IQ and DMP Lotame is aimed at providing clients new insights in marketing and advertising performance via audience data. Thanks to the partnership, demographic, intent, interest, and B2B audience insights are combined with multi-touch attribution measurement to allow advertisers marketing and advertising performance analyses by audience segment. To this end, Visual IQ is integrating Lotame’s audience attributes into its marketing intelligence platform. In addition to the audience data that’s now native to the platform, clients can also integrate their own first-party audience segments, such as high-value customers, loyalty shoppers, and more, from Visual IQ’s other DMP partners. The integration is currently being facilitated. 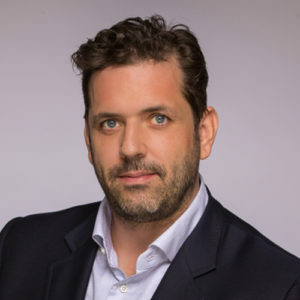 Joining the London office is Anthony Ward, who is taking up a new position as senior sales engineer, to focus on expanding the European market and onboarding new partners. Ward joins Screen6 from a prior position as senior sales engineer at BidSwitch (Iponweb), where he managed technical integration and architected solutions for a global client base.